We are so grateful to the local businesses who support Greenfield through school fundraisers and in-kind donations. Thank you for your support! Here are some other easy ways to support Greenfield. Amazon donates 0.5% of the price of your eligible AmazonSmile purchases to Albert M Greenfield School. AmazonSmile is the same Amazon you know. Same products, same prices, same service. Support Greenfield by starting your shopping at https://smile.amazon.com/. Make sure to select Greenfield! Does your employer participate in a United Way Campaign? Consider designating Greenfield as your donor choice during your upcoming United Way Campaign. Our donor code# is 9394 – Albert M. Greenfield Home and School Association, Inc.
Shop through eScrip and Greenfield benefits. 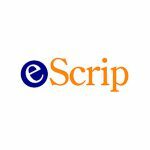 Click http://www.escrip.com/ to get started! Clipping Box Tops is an easy way to help earn cash for our school. Each one is worth 10¢ for our school! Just look for the pink Box Tops on hundreds of products. All you have to do is clip and send them to school. 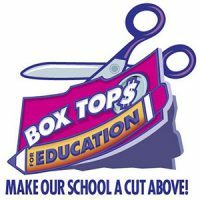 Find more ways to earn Box Tops for Greenfield at http://www.boxtops4education.com/earn. Be sure to sign up as a member on BTFE.com (it’s free!) so you can check out our school’s earnings details and get access to coupons and bonus offers. Donate Now to the Annual Fund!